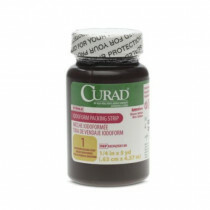 Iodoform gauze is a saturated gauze fabric that uses the antimicrobial and healing properties of iodoform. 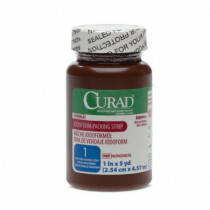 Iodoform gauze dressings are often used in clinical settings for patients who have infected wounds that may have build-up of necrotic or dead tissue. The gauze is also found in dentist or orthodontic office settings to pack tooth cavities, as an antiseptic and dry socket prevention measure. 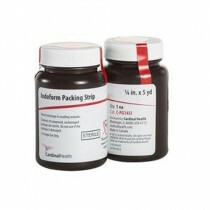 Iodoform dressing medicated wound dressings are usually packaged in long strips and sealed in a bottle container. They are absorbent and are made in strips so they can be packed into a wound with substantial depth, yet will still be loose and porous enough to allow a wound drain. 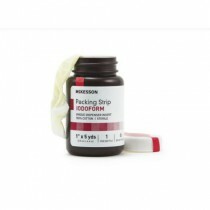 Iodoform strips, although soaked in the antiseptic, are not moist to the touch. They are only slightly damp to maintain the mechanical function of gauze, yet will help prevent infection and necrotic tissue from forming. 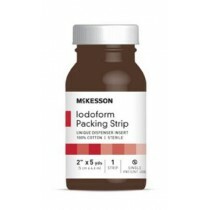 Iodoform is meant for packing wounds, so if you are an individual seeking out this medicated dressing, first check with your nurse or medical professional for specific direction. 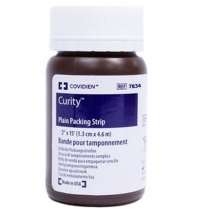 For the most part, this product has one application and that is to line the wound and soak up exudate, while facilitating proper healing within the wound bed. 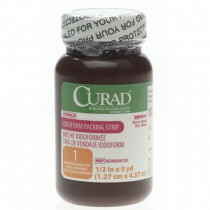 The main factor in choosing which type of iodoform gauze is by strip size, the material length and width. This needs to match the depth and thickness of the wound, or be big enough to envelope the volume of a cavity, for instance, if used to pack a sinus post-surgery. Typically the doctor or nurse will give the guidelines for what kind or type of iodoform gauze to choose from, and if there is any question, always ask a health professional who is familiar with your wound needs. With a gauze packing strip, there really is little variation between one another. 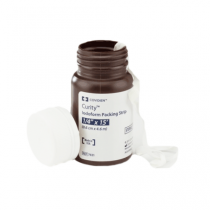 These medicated gauze dressings are always sterile, because they are always meant to placed inside the body. 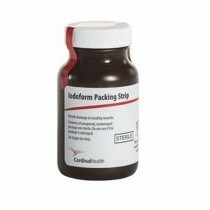 Most bottled iodoform dressings are of single long strip of gauze, usually around 5 yards. The thickness of the gauze ranges between 1 inch to 1/4 inch. 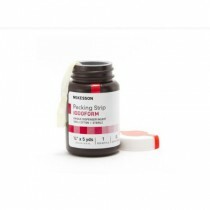 A single strip can be used, or whoever is packing the wound can cut smaller strips if needed. 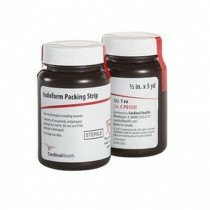 These iodoform packing strips are simply lifted out of the bottle with some kind of sterile implement and folded into the wound opening. The folding is done lightly and rarely ever packed tight. 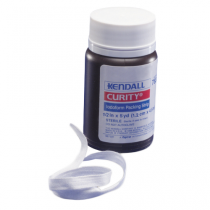 A woundcare professional will direct the person administering the iodoform gauze to lightly fold the material within the wound. 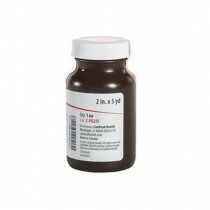 It properties of absorbing exudate, acting as a conduit for drainage, and breaking down necrotic tissue best performed with this sort of application.